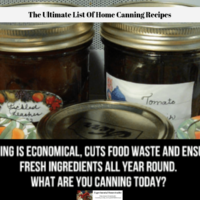 This ultimate list of canning recipes was created to help you quickly find the recipe you are looking for on our site. 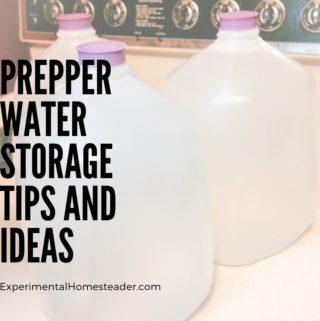 Knowing how to safely preserve the foods you have excess of is so important. 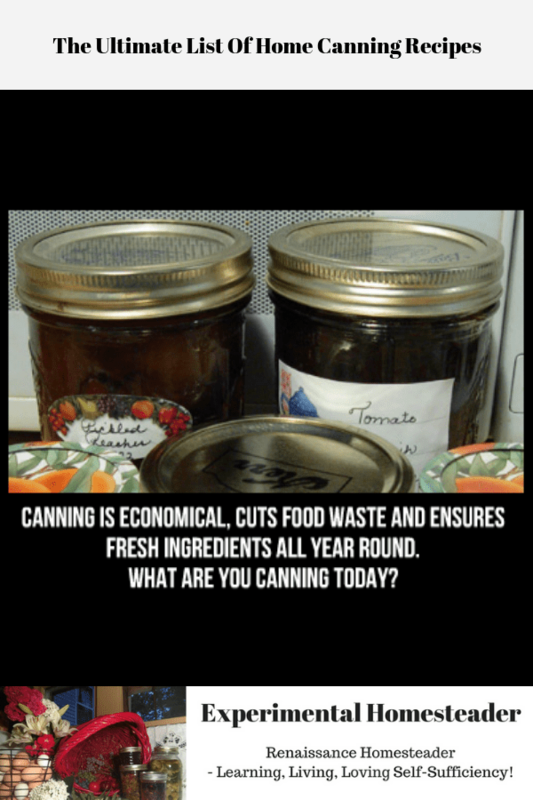 Not only do you know you are eating nutritious foods, but canning helps save money. 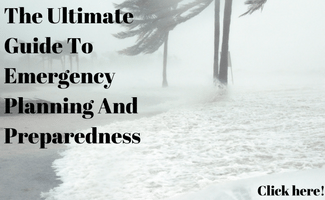 Yes, it does take some work, but the end results are well worth the effort. 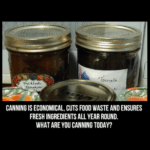 I hope you enjoy these canning recipes. 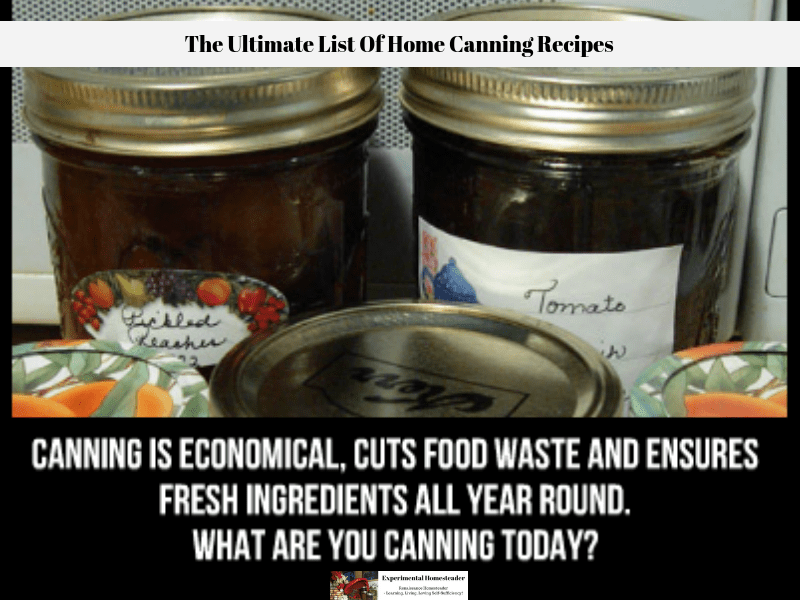 This ultimate list of home canning recipes are all tested and proven to work. 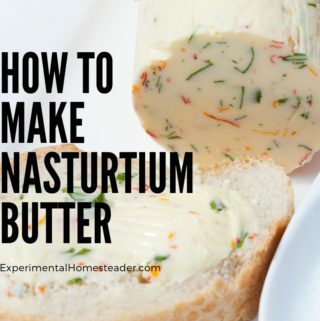 Learn how to preserve the fruits and vegetables you grow in your garden! 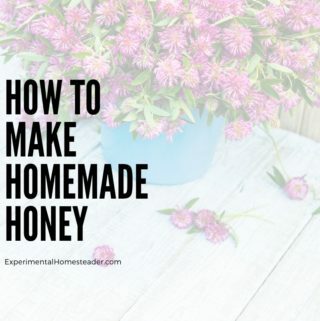 Looking for a recipe for canning broccoli? 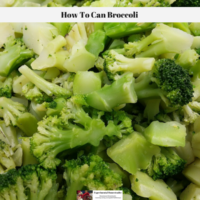 Here is one for pressure canning broccoli that is simple even for those just learning how to can. 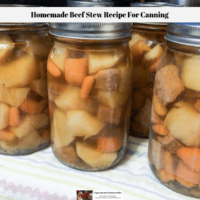 When it comes to having quick home cooked meals that just need reheated, this beef stew recipe for canning can't be beat! 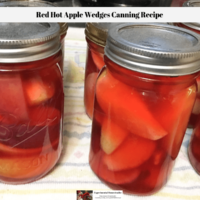 Preserving your own food means trying new recipes, such as this red hot apple wedges canning recipe. 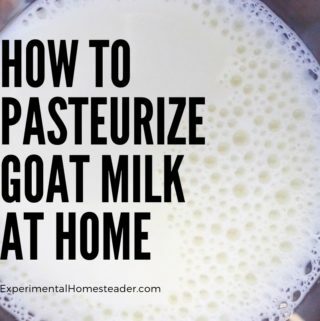 While it is true, it is a good idea to stick to recipes you know you and your family will eat, it never hurts to branch out a bit. 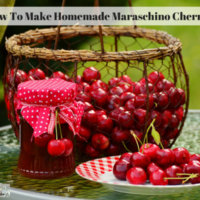 Learn how easy it is to make and can your own homemade maraschino cherries. 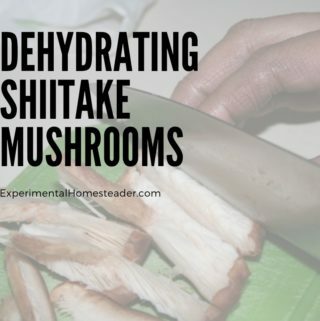 Not only do these taste great, but they are easy to preserve too! 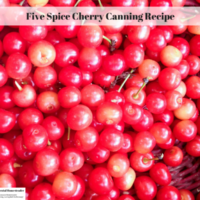 This five spice cherry canning recipe is a unique take on typical recipes for canning cherries. I love the way the spices complimented the tart cherries! 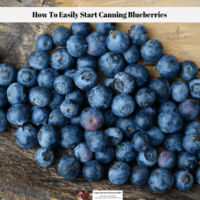 Learn how to easily start canning blueberries in your own kitchen. 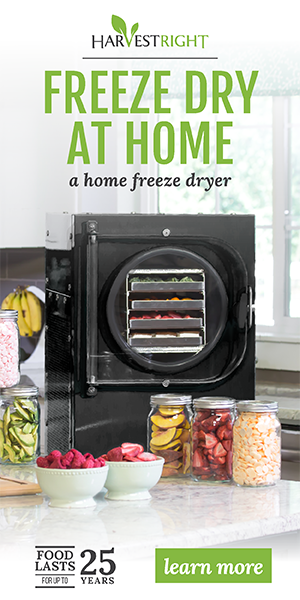 Home canning is a great way to preserve fresh foods that you or someone you know grew. 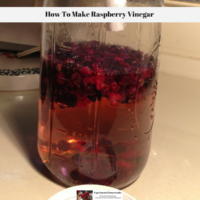 A great way to preserve raspberries is to make raspberry vinegar. 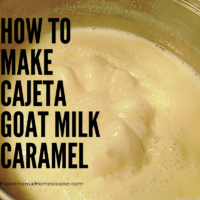 Its delicious on pork chops! 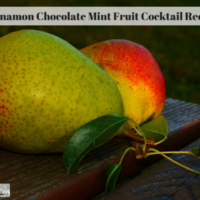 Best of all you can preserve it for winter use by canning it. 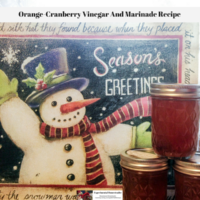 This orange-cranberry vinegar and marinade recipe is easy to make, easy to can and tastes great! 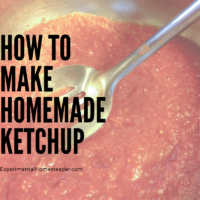 Learn how to make homemade ketchup right in your own kitchen using tomatoes you grew in your garden. 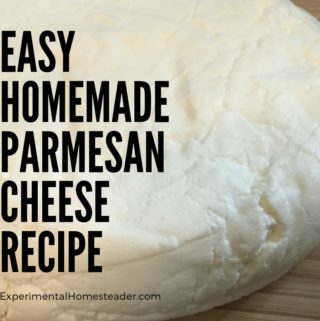 This recipe works with fresh or frozen tomatoes! 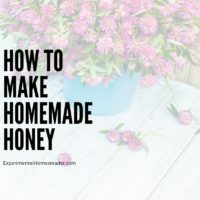 Learn how to make homemade honey right in your own kitchen using a mixture of water, sugar, red clover, white clover and fireweed!